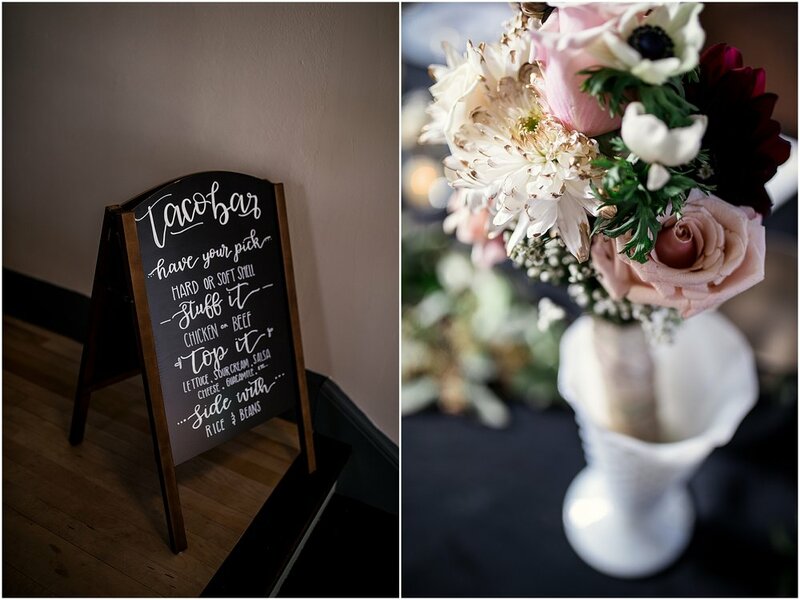 Rachel + Trevor had a laid-back, intimate, and kid-friendly Spring wedding and it was awesome! When I met with Rachel before the big day, she impressed on me how excited she was about the kid-friendly nature of her upcoming wedding day, particularly given that her three kiddos, and many others would be enjoying the festivities as well. And indeed, there were legos and coloring supplies aplenty! Rachel + Trevor had that easiness about them that I love to see in couples who are truly comfortable with one another, and truly partners in life (and parenting). They chose to walk up the aisle together, which I always see as such a powerful sign of equality, and had their children and closest friends and relatives stand up with them at the altar. 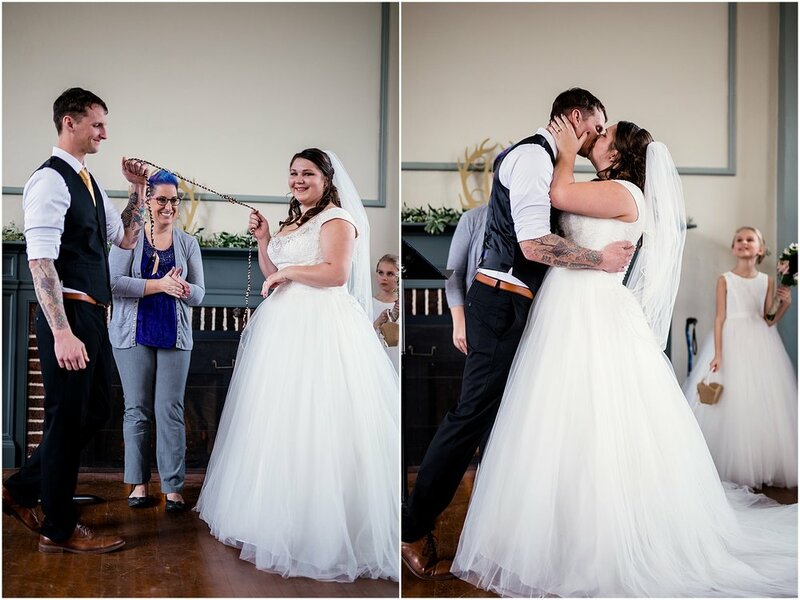 There were two moments so tender they brought me to tears; One small moment during the hand-fasting ceremony in which Trevor was running his thumb over Rachel’s forearm in that kind and loving way folks do when they’re alone. The other was just following the first kiss, when Trevor comforted Rachel, during an emotional moment. Rachel’s mother passed just a few short months before the ceremony, and when the joy of a special occasion stands in sharp relief to the pain of missing a beloved family member, joy and pain can be mixed equally in those moments and that small gesture of comfort was so sweet to see. 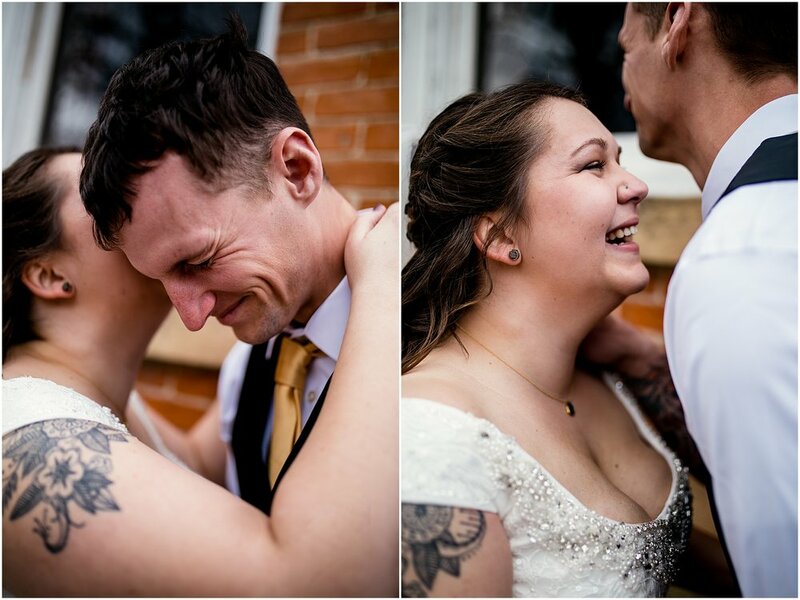 The wedding day was lovely, real, and simply a blessing to get to capture. I am so honored to have been able to celebrate with Rachel + Trevor and their kids and friends and family. Congratulations you two! Here are the vendors (with links) who helped make the day wonderful!